Hi friends! 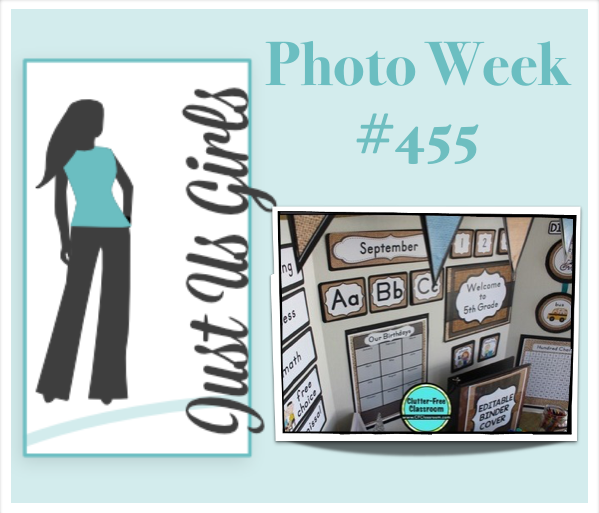 This week Just Us Girls has a Photo Inspiration challenge. Vicki chose this back to school photo, and I had to laugh because I just retired from teaching! I don't have to look at this stuff anymore (although I must admit I will miss it a bit!). So I went in a different direction. 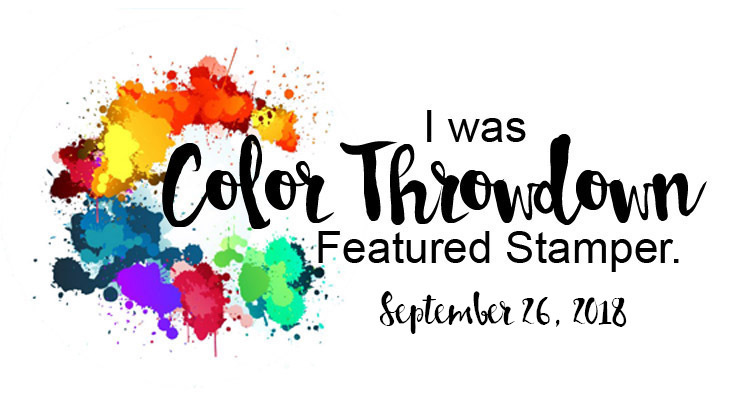 I chose the colors as my inspiration. I was organizing my recent purchases and wanted to stamp out this turnabout stamp from Concord & 9th. 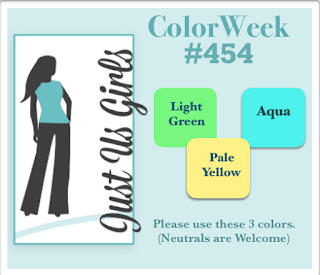 I chose two colors in the brown tones, one in a blue, and another in a peachy color. I kind of saw that color a bit in the photo (plus I liked the way it looked with the other colors!). I chose these Spellbinders dies because it looked like one of the shapes in the photo as well. 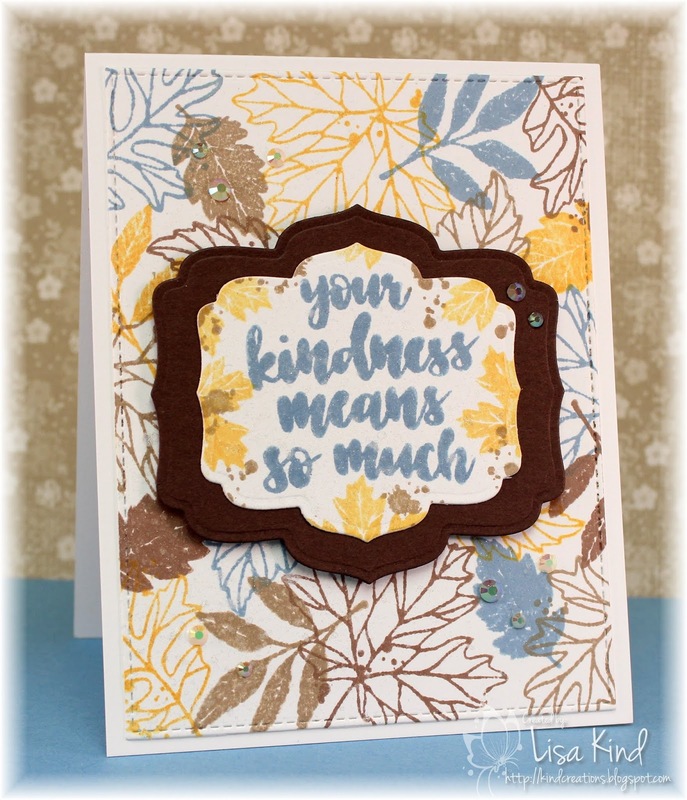 I stamped the sentiment and some leaves and splatter on the white piece and matted it on chocolate brown cardstock. The white panels were spritzed with shimmer spray and the main panel was die cut with a stitched rectangle. You can't really tell, but I did add some crystals on the main panel and the chocolate mat. You can see more from the JUGs design team and our August guest on the JUGs blog. Hi there! This week Just Us Girls has a great color challenge brought to us by Angie. 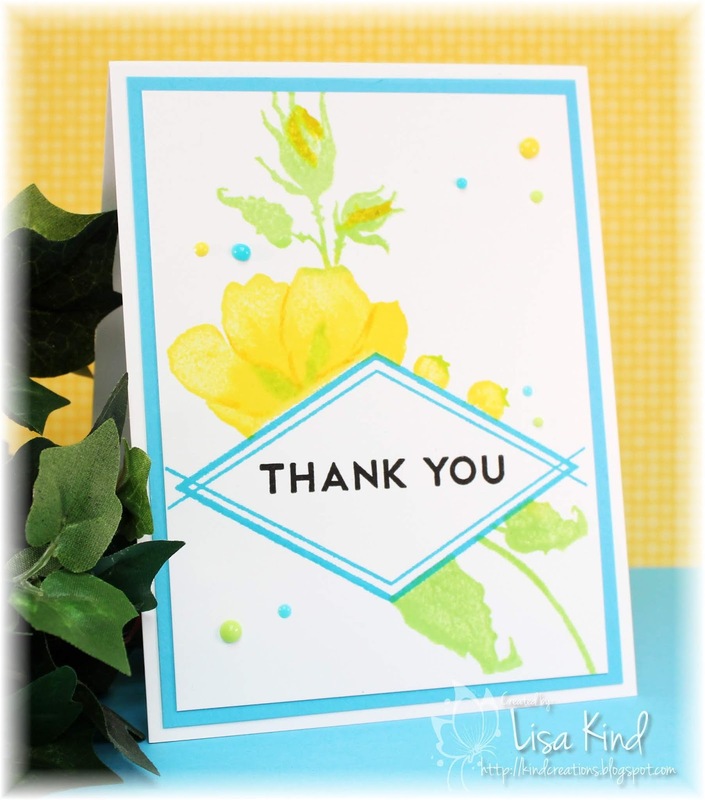 Great for any type of card. So I watched the latest Jennifer McGuire video...surprising right? She called her technique on this video Framed Stamping. When I watched it the other day, I knew it was something I could easily do. I thought these colors would work well with the design I had in mind. I started by masking off the triangle shape and stamped this Penny Black floral image I got as a gift from my friend Cheryl. 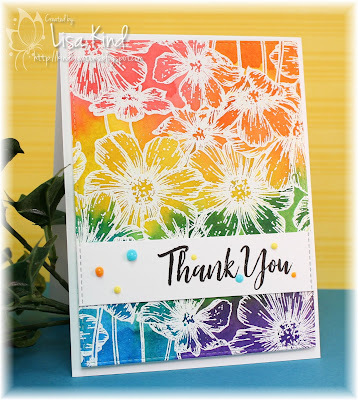 I stamped it using C. Pooler inks...ink direct to stamp. I added some shading with Tombo markers. I removed the mask and stamped the triangle in aqua ink and the sentiment in black. I mounted this panel onto an aqua panel and then adhered that to the card base. I added some Nuvo drops in the challenge colors to finish it off. Very easy card to create! Hi friends! 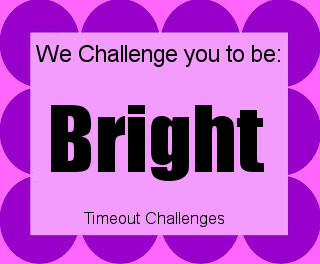 The team at Time Out is challenging you to be BRIGHT. 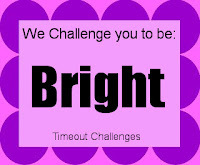 There are many ways to interpret this challenge, but I chose bright colors. A few weeks ago, I saw a Papertrey Ink video using these triangle stencils and coordinating stamp set. I ordered it right away! I actually made this card the day after I received the stuff and cased this card from the video but changed the colors. 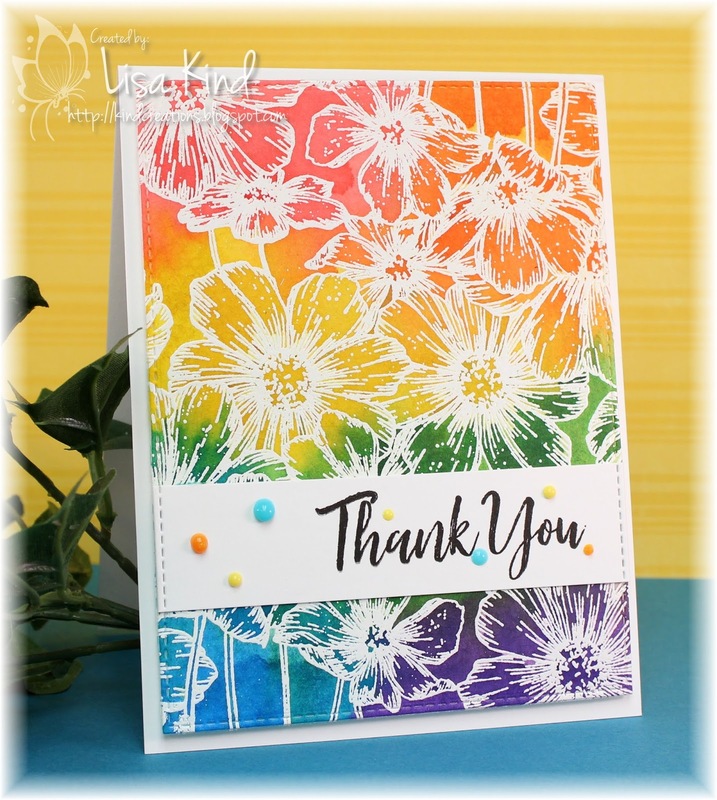 I used Catherine Pooler inks because I love the brightness of the colors...perfect for this challenge. The frame and sentiment were stamped first. Then I used the stencil to sponge the yellow ink. 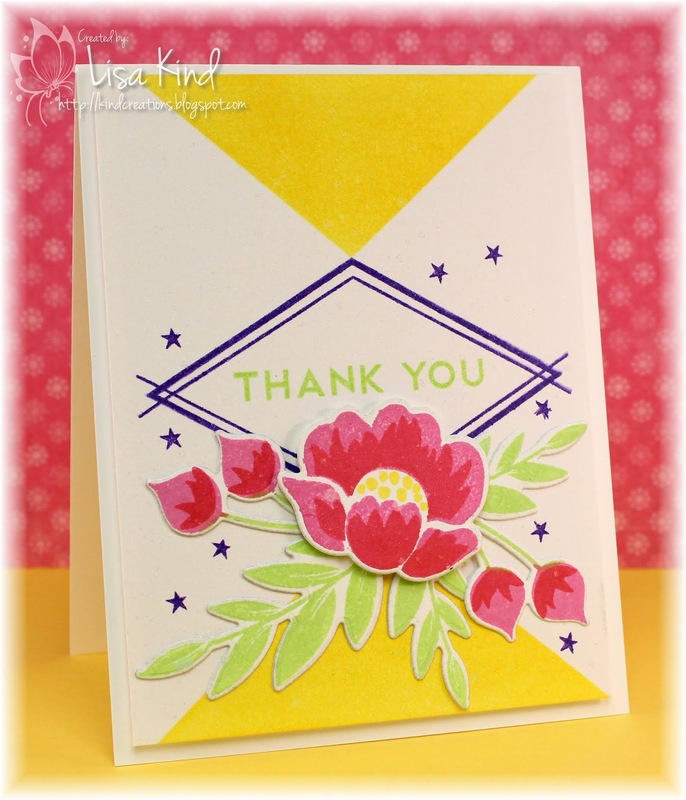 I die cut the flowers and leaves and stamped them with various inks. The stars were stamped and then the card was spritzed with shimmer. 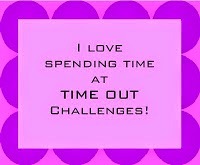 You can see more from the Time Out design team and our guest, Anila, on the Time Out blog. Hi friends! 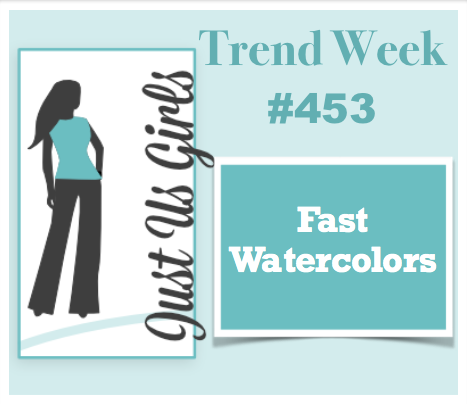 The new challenge at Just Us Girls is a trend challenge. 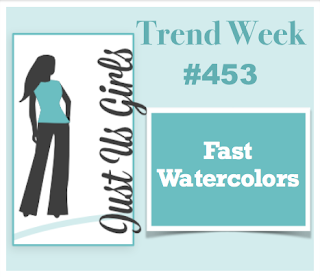 Sue chose a "fast watercolor" challenge. Jennifer McGuire did a video on this technique which you can see here. Basically all you do is emboss an image on watercolor paper then cover it up in a random way with Distress inks. Once that is done, you spray it with water quite heavily and let it dry naturally. I did this one evening and let it dry overnight. 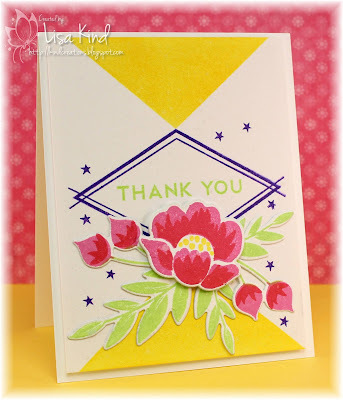 Jennifer showed a lot of examples with one large flower and did do one with a background stamp. I did one with a large succulent stamp from Altenew, but didn't get that one finished to post. This one was done with rainbow colors. 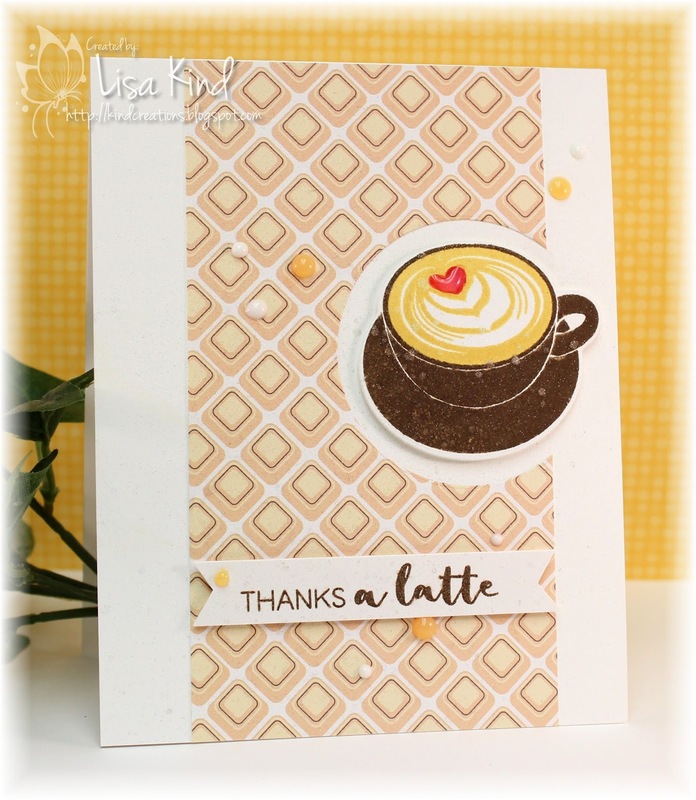 I finished it off by die cutting it with a stitched rectangle die, a thank you sentiment, and Nuvo drops. Very easy technique, just a little time consuming letting it air dry. You can see more from the JUGs design team and our new August guest, Ros Crawford, on the JUGs blog. Hello! 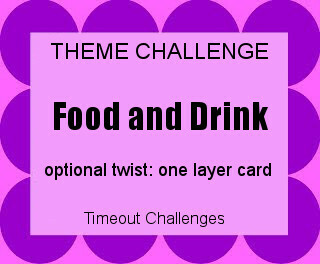 The new challenge over at the Time Out blog is a theme challenge. 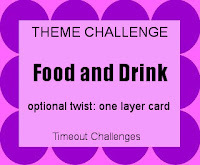 The theme is food and drink. 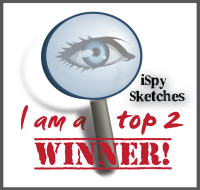 I had several stamp sets to use for this challenge, but chose to use this one (a simple one...no coloring!). I've used this sketch before. There are so many images you can use with it. I stamped the cup in brown ink and then the "latte" part in yellow. I colored the heart shape with copic markers and cover it with glossy accents. The entire card was spritzed with shimmer and then I added some Nuvo drops. 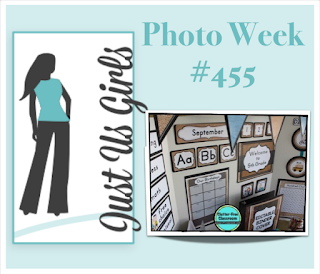 You can see more inspiration from the Time Out design team and our guest for this challenge, Susie Moore, on the Time Out blog.